2017 is almost over – but that doesn’t mean that the most popular wedding trends of this year are ready to make their exit as soon as January 1st kicks in. As a matter of fact, we think this year has been so generous in terms of fantastic wedding trends that most of them are more than worth “stealing” into 2018 as well. What are some of the prettiest wedding trends to borrow from this year for your 2018 wedding? We have some tips for you – read on if you’re looking for inspiration. 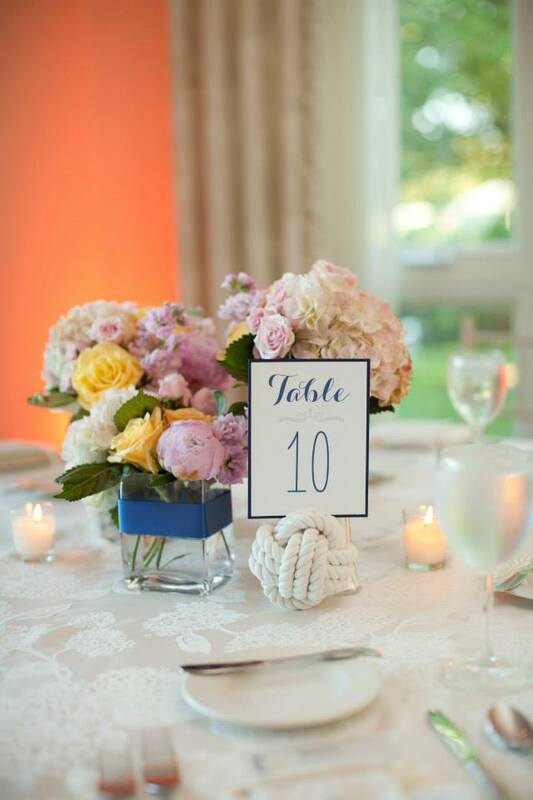 Minimalist, geometrical wedding centerpieces. Small geometrical vases with an Art Décor inspired design, little bouquets of blooms and even single succulents – these types of centerpieces have been hugely popular in 2017. They’re truly pretty – and they can be adjusted to suit any wedding style, really! Steal this idea for your 2018 wedding if you want to keep it simple, elegant, stylish, and unique at the same time! An assortment of pastries. 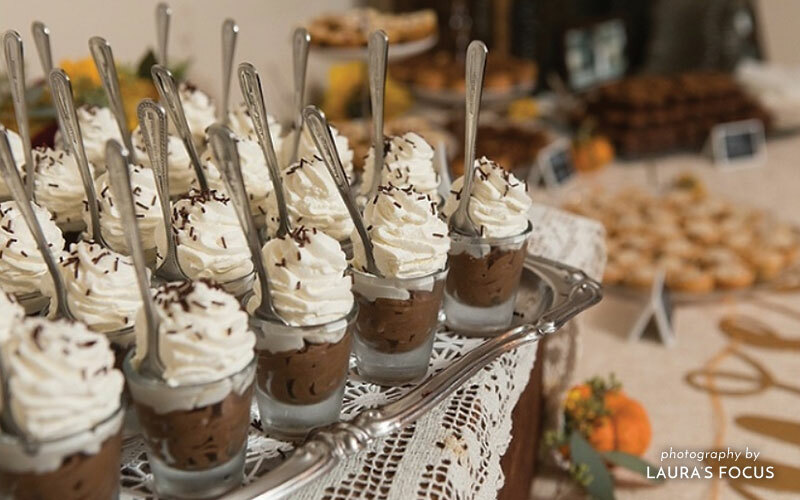 At The Oaks, we offer a fabulous homemade pastry table option the guests just adore. Chocolate mousse, crème brulee, nut and fruit tarts…. Wooden letters as a ceremony backdrop. If you want to bring a touch of natural beauty into your wedding, choose oversized wooden letters to write a cute backdrop sign (“LOVE” is a good word, but don’t be afraid to get creative). Decorate these letters with flowers and/or greenery and you will definitely love the look! Searching for a superb waterfront wedding venue in Maryland? Contact The Oaks right now, schedule your personal tour, and we guarantee you will be charmed by what we offer!